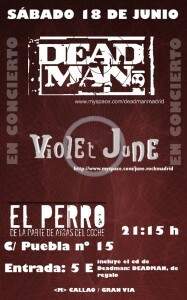 After a year of silence we’ll be playing our first gig for, well, a year – Saturday 18 June at El Perro club in Madrid. 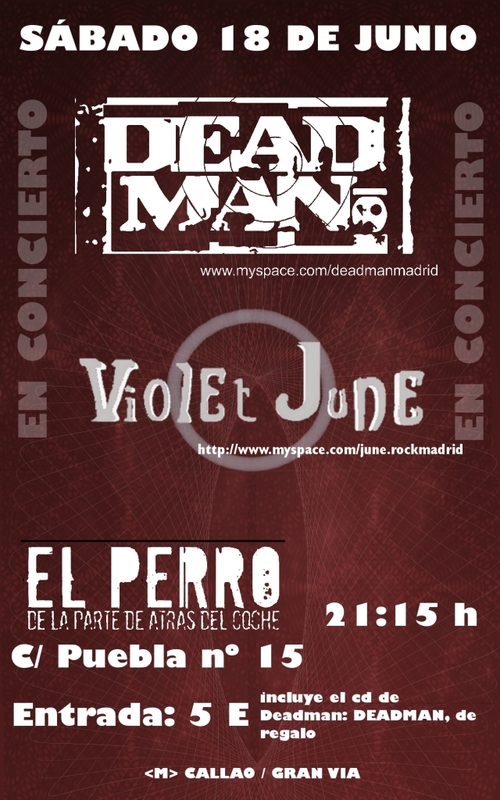 We’ll be playing a bunch of new deadman songs – and don’t worry we’re still as dark as ever – and giving away free copies of our debut album on CD. Check the shows section for more details!